The 1929 Dutch barge sound library gathers 563 clips in 24.84 gigabytes. It features the sounds of a 2-cylinder 1941 Bronz diesel engine with Dutch fuel injection system and 80 horsepower in a total of 29 synchronized takes. 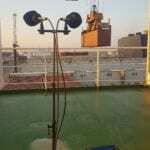 The sound bundle includes onboard recordings from microphones placed at various locations on the boat: interior (4 perspectives), deck (3 perspectives), exhaust (2 perspectives), water (2 perspectives), and the engine (7 perspectives). Together, the takes share sailing at fast, slow, and medium speeds with a variety of RPMs, passbys, as well as starting and stopping. 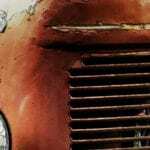 Also featured are idling, revving, and performed FX of compressors, pumps, and more. Also included are Pro Tools and Reaper sound library sessions as well as full metadata in every clip.